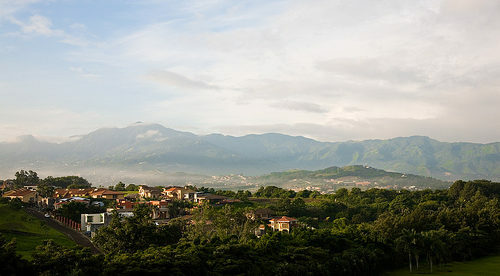 A couple can live near San José, Costa Rica for just $1,700 a month. The average U.S. Social Security check is $1,230 a month for a retired worker. That may not seem like a lot–but when you retire overseas you can cut your cost of living. Below are stories from expats who did just that. Diane McVicker and her best friend Sharri were laid off from their office jobs in their late 50s. They decided to look abroad for a place where two retired women could live safely, affordably and comfortably. Diane says “… there was something about Ecuador that kept drawing us to it. Cost-of-living wise, it looked like a much better location for two retired women.” After attending IL’s conference Real Estate Investment Forum, they decided to split their time between living on the country’s Pacific Coast and the colonial city of Quito. Jack Griffin and his wife Margaret have opted for city life in Nicaragua. When the stock market crashed and the value of their home in the States plummeted they began to worry about how to fund their retirement. The final straw came with a hike in their annual health-insurance premium. At age 60, they felt that they deserved the retirement they had worked for all their lives, so they found a new home in the country’s capital, Managua. Gloria Yeatman and her husband, Paul, met and married later in life. They wanted to be able to spend as much time as possible enjoying time together. They wanted fun and adventure in their retirement. And yes, a big part of their wish list had to do with finding that perfect place, all within a budget. They spent countless hours doing their research and eventually they settled in a medium-sized university town in Costa Rica’s Central Valley. There, the climate is so ideal that they don’t need heat or air conditioning (saving on utility bills). It’s about an hour to the beach and just over 30 minutes to San José and all its amenities, including the country’s best hospitals and medical care. San José is the country’s shopping Mecca, too, with everything from international big-box stores to upscale department stores. Chuck and Jamie Bilbe, ready to retire in Florida, found themselves in a situation where they could not afford health care. “We were concerned that our retirement savings wouldn’t see us through, so we began looking overseas for a place where our ever-shrinking nest egg might last longer,” says Chuck. Paul Kimmel and his wife Ramona moved to Panama City a few years ago for the cosmopolitan lifestyle. Paul has a PhD in social psychology and is an actor, a writer and a public speaker. Ramona is an actress and acting teacher with considerable experience in Hollywood. They’re smart and social, enjoy bridge and golf and are not by any means boring. Panama has a residency program geared toward retirees: the Pensionado or pensioner program. Paul and Ramona obtained permanent residence through the program…and that in and of itself was valuable. The fact that the locals didn’t resent them or discourage them from using the Pensionado discounts made it easy for them to settle in and even make friends. It’s not just about the money-saving discounts and low cost of living, says Paul, the people are what make the retiree lifestyle here so wonderful. There’s a real respect for others, particularly those of retiree age. “People here still enjoy each other and smile. And they help others.” As for the lifestyle, overall, Paul is enjoying it. “If anything, we’re too busy. I’m supposed to be retired…but I can’t find enough time to actually be retired,” he jokes. In the end, Paul’s Panama lifestyle has turned out to be fuller and richer than he could have predicted. He’s not just a retiree…he’s a Pensionado. And around here, that’s a good thing. Editor’s Note: Sign up for IL’s free daily postcards here and get a FREE Special Report. 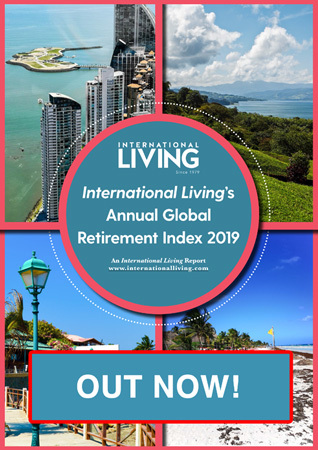 In “The World’s Top Retirement Havens” you’ll discover our best picks…places where you can live large on a small amount of money.